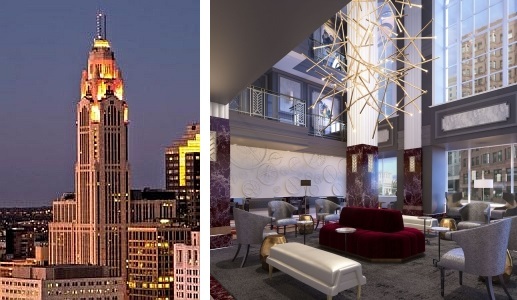 Application: Located inside the historic LeVeque Tower in the heart of the downtown Columbus, OH business district, this luxury full-service hotel leverages the latest GPON technology to provide ultra high-speed communication services to guests and staff. The fully integrated communications network includes Hotel + Guest Internet, Guest IP Video, Wi-Fi, Energy Management Systems, Property Management Systems (PMS), Point of Sale (POS), IP Cameras, VoIP + Analog Voice Services over a converged single mode fiber optic infrastructure. Please contact info@uberdatanetworks.com for more information.